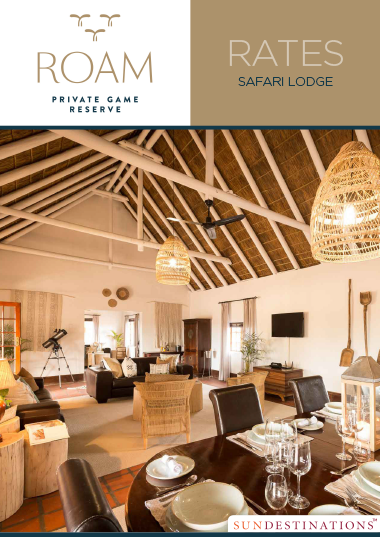 Roam Safari Lodge rests on green lawns and is a classic country lodge with spectacular views of the surrounding wilderness. 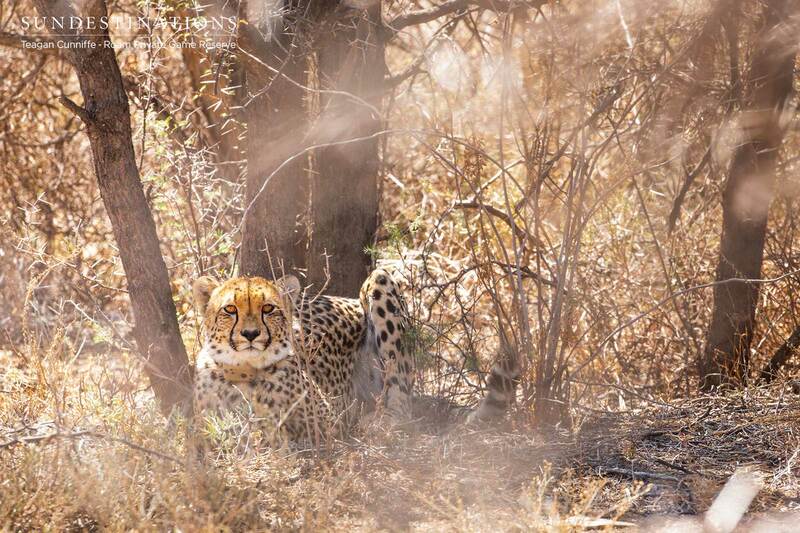 It has its own waterhole that attracts plenty of game. 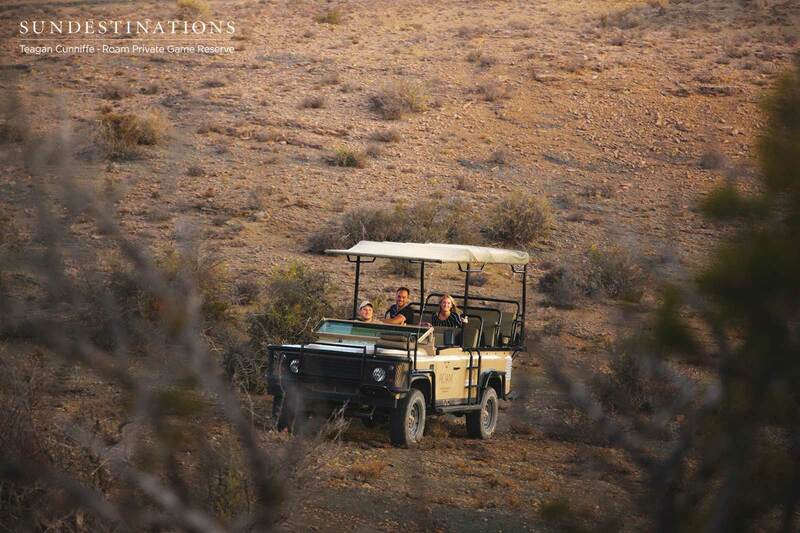 Roam Safari Lodge is the perfect place to enjoy a classic Karoo experience where a daily game drive and guided walk is included in the stay. 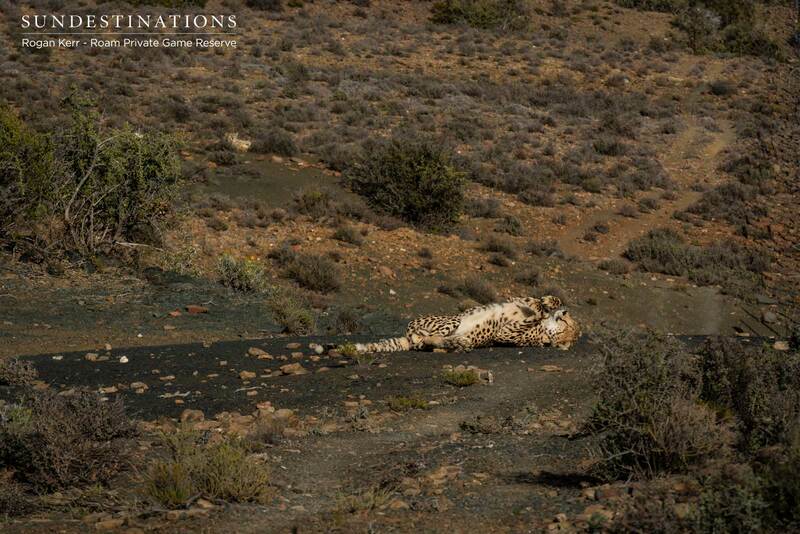 This is classic, country Karoo at its finest. 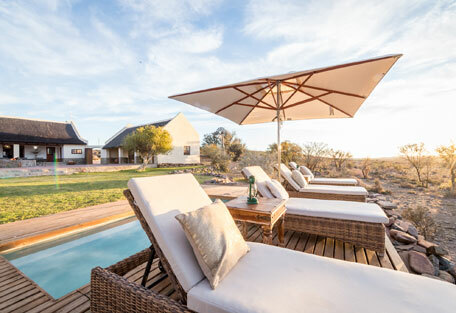 The lodge sits comfortably on emerald green lawns extending from the main area all the way down to the swimming pool and waterhole. 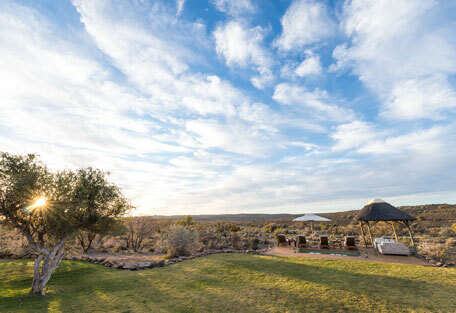 The rugged Karoo terrain hugs the lodge, and there are endless views of the wilderness from all corners of the lodge. Rooms are located around a central courtyard complete with a fountain and sitting area. 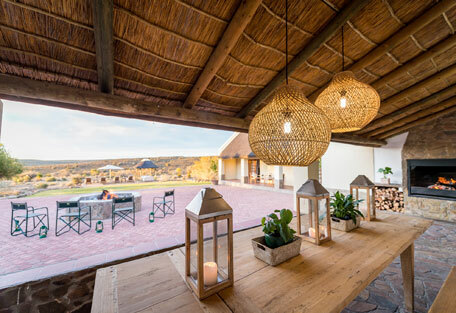 There are ample seating areas, outdoor dining tables and patio furniture in the main areas of the lodge. 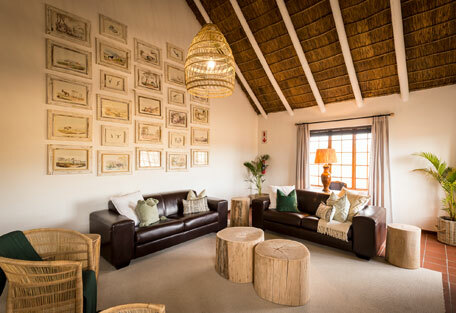 The lodge is furnished in deep brown leathers and natural colours that don’t detract from the surrounds. 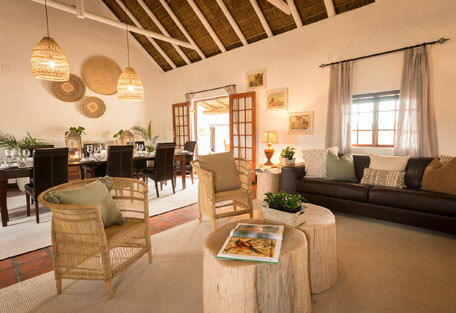 Artefacts and relics adorn the walls, and furnishings are refined and simple. 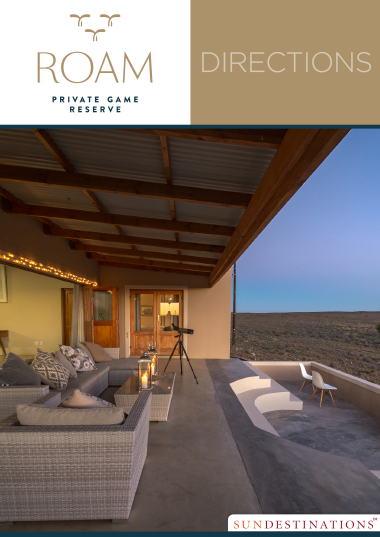 Roam Private Game Reserve is located in the Great Karoo, and is roughly a 5 - 7 hour drive from Cape Town - depending on which route you choose to take. 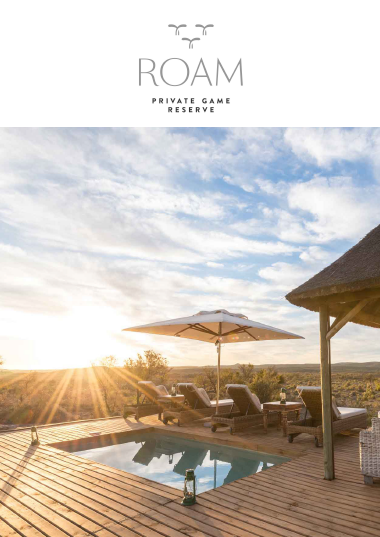 Roam's 5000 hectare traverse forms part of the 400,000 square kilometres of semi-desert landscape that makes up the Great Karoo. 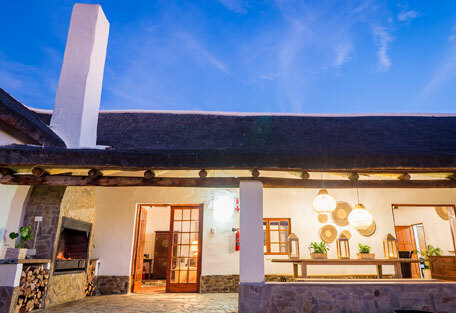 The Great Karoo is a geological and archaeological marvel and has over a million years worth of human history dotted across its basin, with evidence of Stone Age tools being discovered in certain sub-regions. 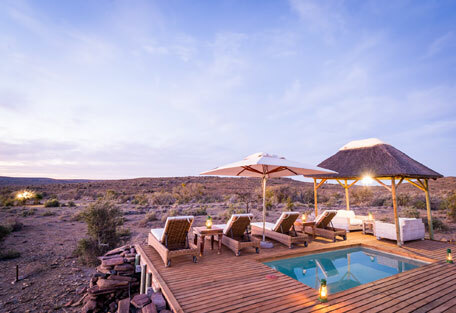 Archeologists and Palaeontologists find the Great Karoo an area of fascination, and the region is actually one of the oldest Stone Age sites in Africa. 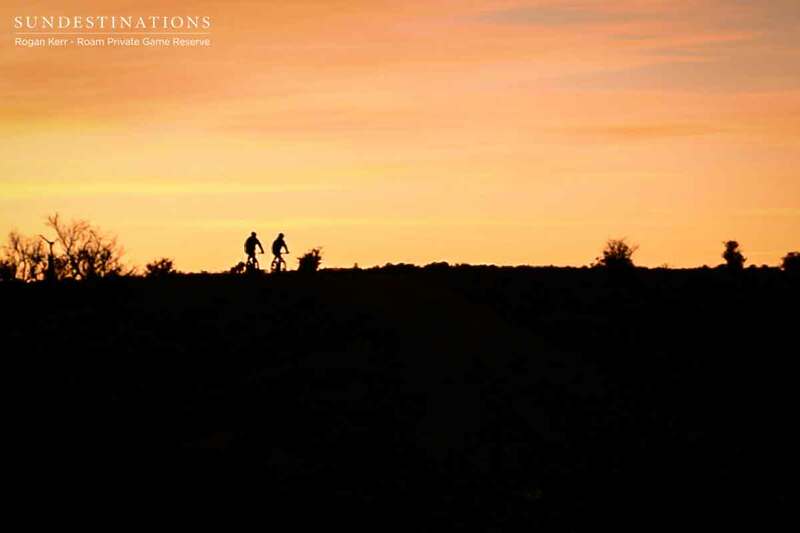 Traces of petrified bones and expansive fossil beds can be found scattered throughout. 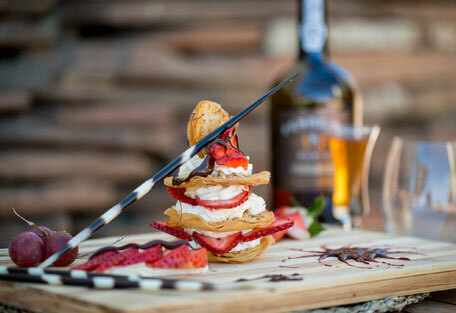 This is an exceptional location worth visiting. 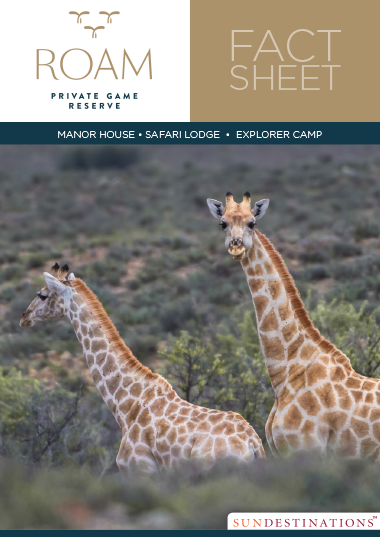 Roam Private Game Reserve is an easy self-drive route, and although the scenic Route 62 is recommended, the easiest is the direct route from Cape Town along the N1. Take the N1 north bound (Paarl, Worcester, Laingsburg), 84km outside of Laingsburg turn right on the R407 toward Prince Albert. Upon reaching Prince Albert continue through the town and turn left onto Pastorie Str immediately after the PEP store (signage says Bush Pub). 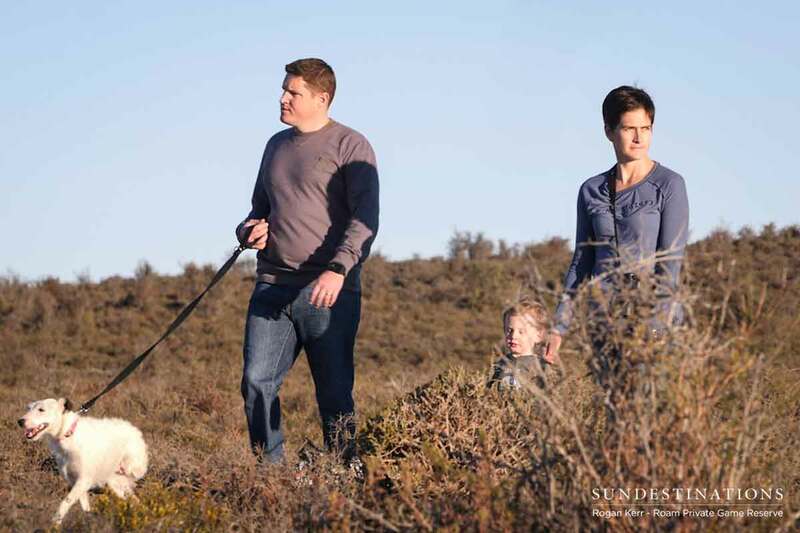 After 55km on the dirt road you will meet the N12 at a t-junction, turn left onto the N12 direction Beaufort West. From here it is 22km to the Roam turn off. The dirt road to Roam is clearly sign posted. Turn left at the sign and continue 3km to the electric gate, travel another 3km to the reserve gate where you will be met.